This wonderful story of a life, is told to us by in 89-year-old Lilly Bere following the death of her beloved grandson, Bill. Lilly tells/remembers/relives her story over 17 days, where each chapter is entitled, Second Day, Third Day, Fourth Day without Bill, etc. Oh how true Helen, how very true! Just how the chapters were titled alone broke my heart! And what a wonderful female voice Barry has given us. This book is something where you should go off and find somewhere to tuck yourself away and just listen and follow Lilly Bere as she takes us through her life. You will for sure fall in love with Lilly Bere. In her last seventeen days you are drawn deeply and emotionally in to Lilly’s journey through life, from her first beloved whom she came to America with, to her very best friend Cassie, to her husband Joe, to her son Ed and to her grandson Bill. And with so many more characters in Mrs. Bere’s life that you grow to love just because you realize how deeply they too love her, notably Mr. Nolan, her companion in her late years and Mrs. Wolohan, her employer that has allowed her to retire in a nice little cottage by the lake and visits her daily. It’s just simply a lovely and heartbreaking story, written in such gorgeous writing with such a patient voice. 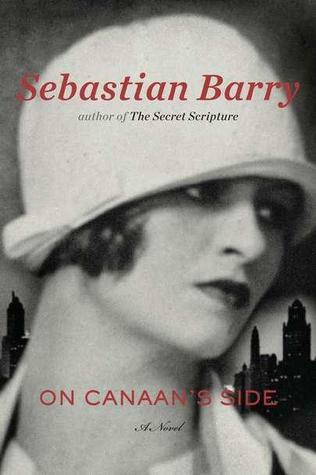 Sebastian Barry has given us a great gift in a character like Mrs. Bere. Again, a character I will truly miss. Mrs. Lilly Bere will haunt me in such a sorrowful way for some time. So many times in this book I would say out loud, “Oh no…” with such sympathy and sorrow. Another definite 4 star read for me. glad to hear it is good!! i can’t wait to read it!! they interviewed Sebastian Barry on Writers and Company about this book. it was really interesting! he is also in love with Lilly.